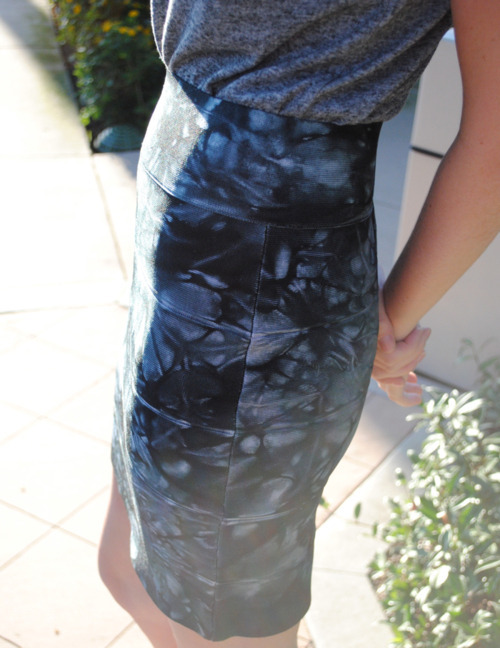 Found this amazing Herve skirt (along with a plain gold one) for under $200 while on my Cali trip two weeks ago. I love the tie-dye effect, because it gives you the option to dress it up or dress it down. Very versatile in both style and color. Here’s my “dressed down” look for it.